Beware. When you least expect it, the “bug” might bite you. It strikes with no warning, and experts say there isn’t a cure. I recently spoke with a victim of this phantom menace, and was amazed to learn the details of his story. “I was 18-years-old and working in a supermarket when I was bit by the magic bug. A coworker of mine, he performed a trick; he made a coin totally change its form while it was in my hand.” He went on, “I knew from that point on that magic was going to be a part of my life somehow.” A New Yorker, born and bred, Chris Anthony looked back on his early years as a magician in the City of Dreams, and how living there helped make his come true. 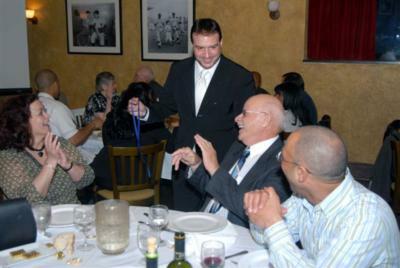 The same coworker who introduced him to magic took him on his first outing to one of New York City’s most famed spots for magicians. Once owned by Harry Houdini himself, Flosso-Hornmann Magic Co. (formerly known as Martinka & Co.) had Chris hooked on magic from the moment he stepped foot inside: “I was like a kid in a candy store.” From there, Chris went on to perform at restaurants—try, four different ones six nights a week at one point!— and kids’ parties. What started as a fascination quickly turned into a zealous passion that ultimately defined the career path of Chris Anthony. A GigMasters member for almost three years now, Chris Anthony Magic has already received nearly 500 gig requests. One of those requests came from the marketing department here at GigMasters. 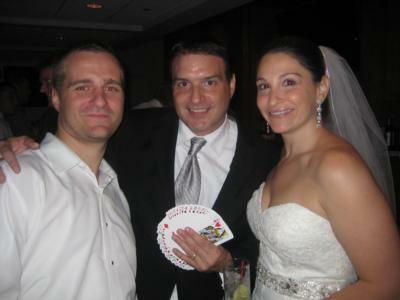 For our setup at BizBash 2012, an annual event industry trade show, Chris Anthony agreed to perform an array of his close-up magic tricks for the event’s attendees. He was an immediate hit among crowds of onlookers. For his work at a GigMasters event, we have awarded him one of our newest profile badges— the aptly named, Friend of GigMasters! As such, my interview with Chris aimed to discuss his experience working at our event, and how his career has evolved over the 28 years he’s been practicing magic. As it turned out, with every question I asked, I wound up replying with an astonished -“Wait, you did what?” to more or less every one of his responses. Yes, Chris was garnering “oohs” and “ahhs” from me… over the phone! 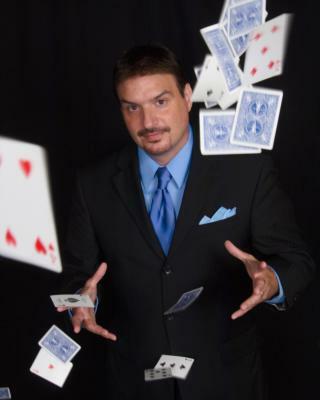 His tales of tricks learned and accounts of magic performed had me wondering, “What could possibly fuel this successful career?” For Chris, the answer was simple: “I want to help these people make their special memories. I want to provide something they’re going to remember for the rest of their lives.” This means customizing his magic in such a way that it guarantees all clients an exceptional experience. Whether he’s performing at a wedding, a corporate function, a birthday party, or an anniversary dinner, Chris always has— quite literally— something magical up his sleeve. For the full version, click here! So maybe this “magic bug” isn’t so bad after all. It doesn’t infect its victims as much as it produces in them a sense of amazement and wonder in the seemingly unknown. And that, I’ve found, is what’s really infectious. What's the craziest magic trick you've ever seen? Tell us about it!